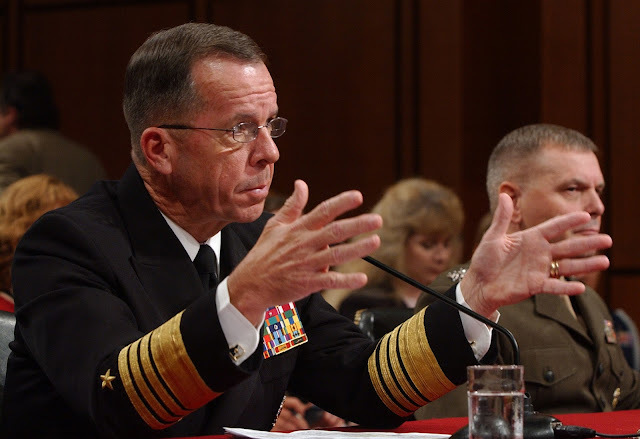 According to reports, the hackers targeted personal computers retired Admiral Mike Mullen, the former chairman of the Joint Chiefs of Staff. The FBI is hunting for foreign hackers. Mullen is currently teaching WWS 318: U.S. Military and National and International Diplomacy and will teach an unnamed graduate seminar in the spring. According to Mullen's aides, however, he did not save or view classified information on his personal computers. Agents from an FBI cyber-security unit contacted Mullen in late October or early November, and asked that he surrender his computers in connection with the ongoing inquiry. Mullen agreed, and in early November at least one FBI agent collected the computers at his office at the U.S. Naval Institute. One official said that evidence gathered by the FBI points to China as the origin of the hacking, and that it appeared the perpetrators were able to access a personal email account of Mullen. Officials said that Mr. Mullen has had access to classified information while working on the Benghazi investigation, but his own computers weren't in such a heavily protected network. China is often cited as a suspect in various hacking attacks in the United States and other nations. Beijing dismisses allegations it is involved.